6 What is David Paul Olsen’s Net Worth? Born under the sign of Capricorn on the 2nd of January 1976, in Moline, Illinois USA of Norwegian descent, David Paul Olsen is a 41-year-old stunt performer and actor. He is perhaps best known to the world for his significant presence on the TV screen as a stunt double in numerous films, such as “Swiss Army Man”, “G-Force”, “Transformers: Revenge” and “The Back-up Plan.” He has had a number of other successes both as an actor and a stuntman across numerous films and TV shows, over the course of his often lucrative acting career since 2006. David actually grew up in Bettendorf, Iowa, as his parents moved there when he was very young. His father is Paul Olsen, a doctor, and his mother is Jeanne D. Olsen, who also had a career in the entertainment industry. 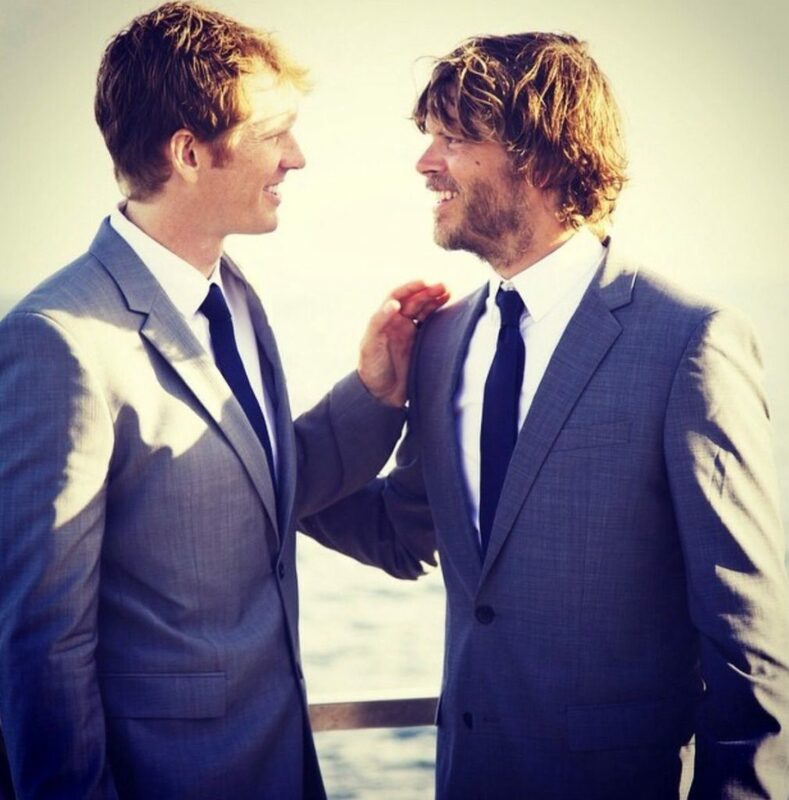 David has a brother named Eric Christian Olsen, who has a career similar to him. As for his education, there is no info concerning his high school, matriculation or pursuing any further education. David’s TV screen debut came in 2006, when he got to do stunts in the feature film entitled “Deceit.” He made his TV series debut in the same year, as John Lithgow’s stunt double in “Twenty Good Years”, then in 2007 came his first bigger job, when he got to perform utility stunts and as a stunt double in eight episodes of “The Young and the Restless.” He recorded a stunt for the video game entitled “Resistance 2” in 2008, while he also did voice acting for a black ops soldier in the said game, which marked his first acting experience. The next year he featured as a member of the strike force team in “Transformers: Revenge of the Fallen”, which marked the start of his acting career. He obtained his next purposeful role four years later, but he was meanwhile doing stunts for various films and TV shows – the said role was in the wildly popular “NCIS: Los Angeles”, which instantly launched him into stardom, although he featured in only four episodes from 2013 to 2017. Consequently, he did many more stunts on screen in 2016, while 2017 exploded with work for him. Ultimately, it looks like 2018 will be just as busy and profitable. As for David’s romantic involvements, it looks like he was lucky that his brother co-starred alongside the Portuguese-American actress Daniela Ruah, whom he eventually met, and in 2010 they started dating. In December 2013 Daniela gave birth to their son River Isaac Ruah Olsen; they married six months later in a private ceremony at an unspecified location, and two years later in September 2016, Daniela gave birth to Sierra Esther Ruah Olsen. Unfortunately, it looks like Daniela also had a miscarriage in October 2015 after nine weeks of pregnancy. That said, nothing is known about David’s relationships prior to Daniela, and there hasn’t been any controversy about the wedded couple. Eric Christian Olsen was born the 31st of May 1977 in Eugene, Oregon USA, and is world-famous for his portrayal of Detective Marty Deeks in 195 episodes of the CBS TV series entitled “NCIS: Los Angeles”, as well as Austin in “Not Another Teen Movie.” He has been active in the entertainment industry since 1997, and thanks to his aforementioned role, his fame greatly overshadows his brother’s. He has been married to Sarah Wright since 2012. What is David Paul Olsen’s Net Worth? Have you ever wondered how rich David Paul Olsen is, as of mid-2018? According to various authoritative sources, it has been estimated that the current total of David’s accumulated wealth is close to $7 million, largely aided by his numerous successes in the entertainment industry, while the greatest contribution has come from his performance in big hit franchises such as “Transformers” and “NCIS.” As his career continues to develop, the said amount can be expected to increase. Concerning the physical attributes of the musical producer, his height is 6ft 2ins (1.87m) – his hair is light brown and his eyes are light blue, while his body shape is generally described as muscular. Due to the major influence of social networks, it is nowadays a regular thing for active stuntmen to nourish a close and active relationship with their fans, for the sake of increasing the popularity of the titles they’re working on, and thus their own net worth. It looks like David doesn’t care much for this celebrity trend, as his presence is lackluster on most social media networks. Any Facebook and Twitter accounts are nowhere to be found, while his Instagram account has almost 2,000 followers at the moment.